Onslow County | Scuffalong: Genealogy. Onslow County – Scuffalong: Genealogy. The apprenticeship of “base-born” children. Apprentice records show a dozen or so free colored Henderson children in Onslow County in the first quarter of the nineteenth century. It seems likely that they were from one extended family – and my kin – but proof is thin. There is persuasive evidence that the mother of Nancy Henderson, a free woman of color, was a white woman named Nancy Ann Henderson, but no evidence to date that this Nancy Ann had additional free colored children. James and Bryan were Patsey Henderson’s children; Durant, Willis, Miranda, Patsey, Gatsey, Minerva, William and Betsey were Nancy’s children; and there is considerable evidence to suggest that Nancy Henderson and Patsey Henderson were sisters. My comments and speculations are in italics. Sucky Henderson was bound to Richard Trott in 1809. Sucky, Polly and Naomi below possibly were too close in age to Nancy and Patsey Henderson to have been their children. Sisters instead? Polly Henderson to Isaac Barber in 1809. Durand Henderson, son of Nancy Henderson, to Henry Hyde in 1811. Durant Henderson was also called Durant Dove. He and his brother Willis were the subject of a North Carolina Supreme Court case, about which more later. He is the progenitor of today’s Lenoir County Doves. Sukey Henderson to Richard Trott in 1811. Naomi Henderson to Adam Trott in 1811. Durant Henderson and Willis Henderson to John Jones in 1818. James Henderson and Bryan Henderson, sons of Patsey Henderson, to Jesse Gregory in 1821. Miranda Henderson and Patsey Henderson, daughters of Nancy Henderson, to Nancy Henderson in 1821. Who was the Nancy Henderson to whom the children were bound? A child could not be bound to his or her own parent. Was she Nancy Ann Henderson, Nancy Henderson’s mother? Patsey Henderson, age 5 or 6, to Jason Gregory in 1822. Was this Nancy’s child (as above)? Or Patsey’s? Gatsey Henderson and William Henderson, reputed children of Simon Dove, to James Glenn Sr. at August term, 1822. Nancy Henderson and Simon Dove never married, but had several children together. In the 1850 census of Upper Richlands, Onslow County, Nancy Henderson, 55, headed a household that included Gatsey, 30, Nervy, 25, Monday, 6, Lott, 4, Jessee, 1, and Sally Ann Henderson, 6 months. James Henderson and Bryan Henderson to Jason Gregory in 1823. Betsy Henderson to James Glenn Jr. in 1823. Betsy, Nancy and Appie [no surnames] to David Mashborn in 1823. Are these Hendersons? If so, is Appie another of Nancy Henderson’s daughters? Miranda Henderson, James Henderson, Martha Henderson and Bryant Henderson to James Glenn in 1824. Two of Nancy’s children and two of Patsey’s, bound together. Miranda Henderson to Elizabeth Williams in 1824. William Henderson to Lemuel Williams in 1824. James Henderson and Bryan Henderson, “the baseborn children of Patsey Henderson,” to James Glenn Sr. in 1824. Betsy Henderson and Gatsey Henderson, daughters of Nancy Henderson, to Lewis Mills in 1824. Patsy Henderson to Amos Askew in 1824. William Henderson, son of Nancy Henderson, to Lemuel Williams in 1827. Durant Dove and Willis Dove were bound to James Mills in 1828. These boys were otherwise known as Durant and Willis Henderson. Durant Henderson and Willis Henderson to James Mills in 1829. I believe that Nancy Henderson alias Dove and my great-great-great-great-great-grandmother Patsey Henderson were sisters. More on that later. James Henderson’s children, part 1: the Skipps. James Henderson had two sets of children. His first set bore the surname Skipp in childhood, when they were apprentices, and these facts suggest that James and their mother were not married. Son James Henry’s death certificate gives his mother’s name as Sallie Henderson. Was she instead Sallie Skipp? Skipp is rare name in Onslow County, but a free man of color named William Skipp headed a household in 1820. Her father, perhaps? Lewis Henderson married Margaret Balkcum, a free woman of color from Sampson or Duplin County. The family settled near Dudley, in southern Wayne County, and in 1870 Lewis and Mag became founding members of the Congregational Church. By 1880, Lewis was growing corn, wheat and cotton on about 150 acres. He and Mag had nine children, but descendants of only two, Ann Elizabeth and Loudie, remain today. Lewis died 12 July 1912. 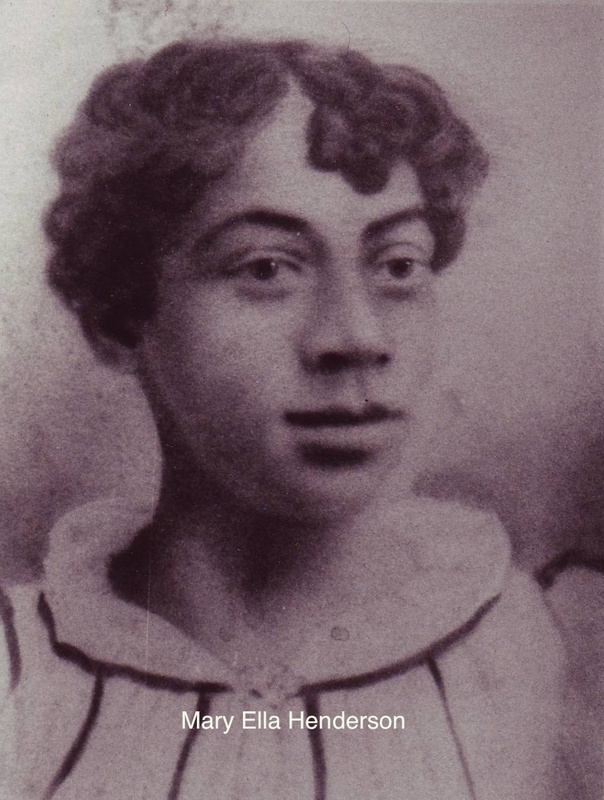 James Henry Henderson’s first child, Carrie Faison, was born about 1869 to Keziah Faison. Soon after, James married Frances Sauls and settled in Wayne County as tenant farmers. James and Frances’ children were Mary Ella Henderson (1867-?? ), Elizabeth Henderson (1869-?? ), Nancy Henderson (1873-?? 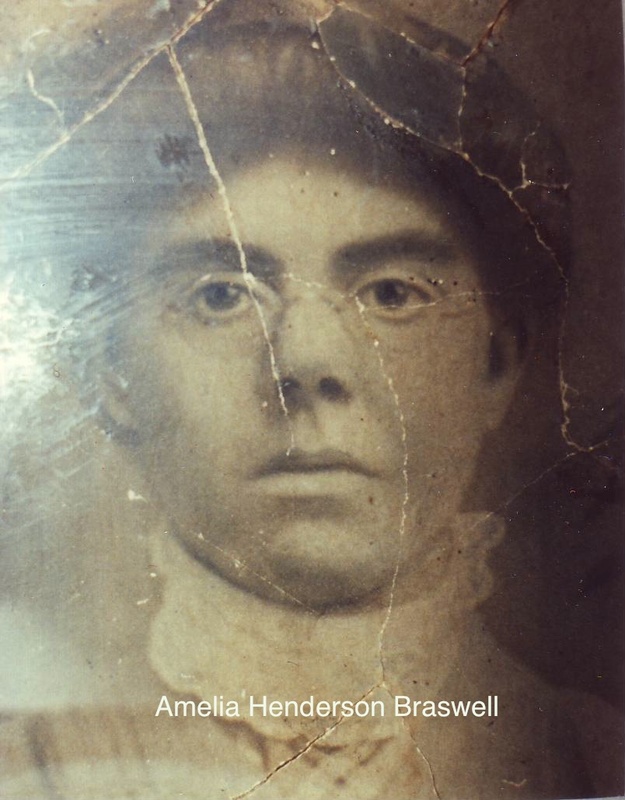 ), Amelia Henderson Braswell (1877-1914), Elias L. Henderson (1880-1953), James Ira Henderson (1881-1946), Lewis Henderson (1885-1932), and Georgetta Henderson Elliott (1889-1972). In 1900, James married Laura Roberts. Though James’ modern heirs descend from only a few of his children, Lewis, Georgetta “Etta,” and Elias, they comprise the largest sub-branch of the family. James died 21 June 1920 in Duplin County. Mary Henderson seems to have died in childhood. Eliza Henderson moved to Sampson County with her rest of her family, but has not been found after the 1860 census. The case for the Skipps as James Henderson’s children. 1. In the 1840 census of Onslow County, James Henderson is listed twice. First, his household includes 1 male 24-26 [James]; 1 female 10-24 [Sallie Skipp? ]; 2 males under 10 [Lewis and James]; and 1 female under 10 [Mary], all colored, and is listed between Bryant Koonce and William Mills. Second, the household composition is the same, but is listed between William Boyett and Jesse King. 2. In the 1850 census of Upper Richlands township, Onslow County: at household #32, Jim Henderson, 35, mulatto, mechanic, in the household of B.S. Koonce, farmer; at #34, Eliza Skipp, 7, mulatto, in the household of Jesse Alphin, farmer; at #60, Jim Dove, 14, and Mary Skipp, 10, mulatto, in the household of John Humphrey, farmer; at #65, Lewis Skipp, 16, laborer, and James Skipp, 10, both mulatto, in the household of Stephen Humphrey. 3. Neither James “Jim” Henderson nor the Skipp children appear in any Onslow County census thereafter. 4. In the 1860 census of Westbrooks township, Sampson County (about – miles from Upper Richlands): at #1033, Lewis Henderson, 25, turpentine laborer, with wife Margaret, 26, and children Lewis T., 4, James L., 3, and Isabella J., 4 months; at #1038, James Henderson, 52, carpenter, wife Eliza, 25, and children Anna J., 8, Susan, 6, Hepsie, 4, and Alex, 1; at #1039, Eliza Henderson, 18, in the household of John B. Sutton; at #1113, James Henderson, 22, farm laborer, in the household of Louis C. King. (Mary Skipp/Henderson has not been accounted for.) They are the only Hendersons in Westbrooks and were not in Sampson County in 1850. 5. In the 1870 census of Faisons, Duplin County: James Henderson “senior” is listed with his wife and children, including 27 year-old James. In Brogden, Wayne County: Lewis Henderson with his wife and children. 6. In the 1880 census of Brogden, Wayne County, James is listed with his wife and daughters. Lewis and his family were also in Brogden township. James senior remained in Faison. 7. Lewis Henderson had sons Lewis and James and a daughter Mary. James H. Henderson had sons Lewis and Elias Lewis and a daughter Mary. 8. 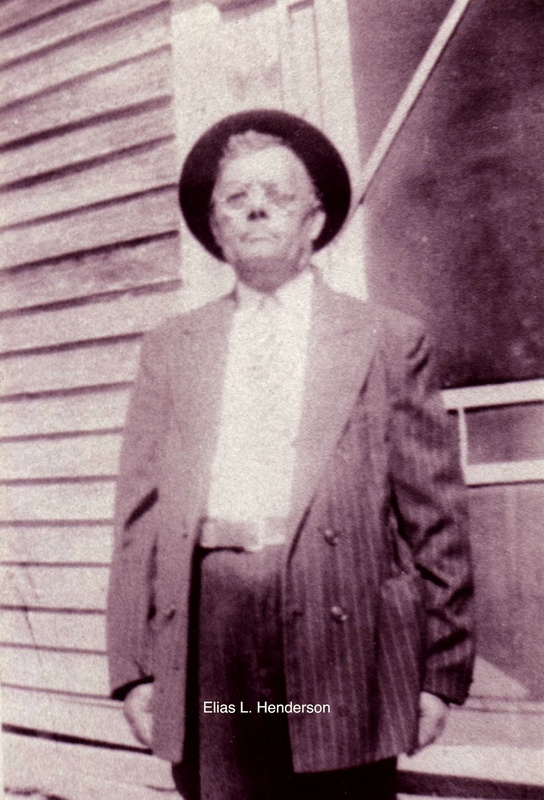 James Henderson died in Faison, Duplin County, on 21 June 1920, aged about 80. His death certificate listed his birthplace as Onslow County and his parents as James Henderson and Sallie Henderson. 9. 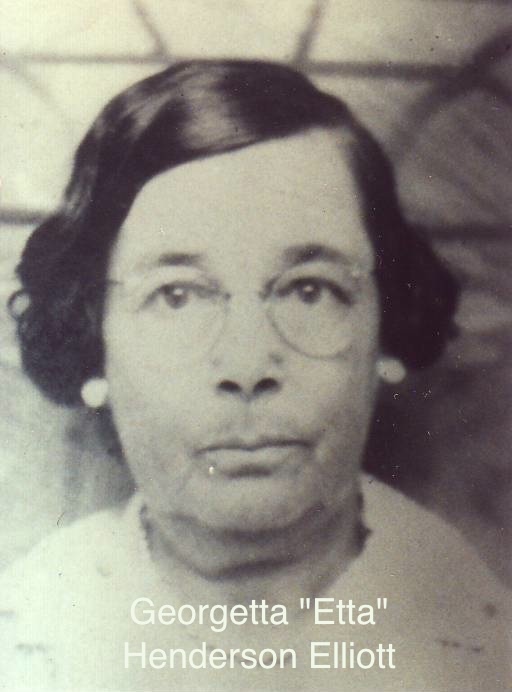 My grandmother, a great-granddaughter of Lewis, recognized Elias L. Henderson as a cousin. She recognized as aunts the daughters of James Henderson by his second wife. (They were actually her grandmother’s aunts, though they were contemporaries.) She also recognized as cousins the son and daughter of James’ son John Henderson. In other words: in 1850, four children of ages to be siblings appeared in Onslow in proximity to a man believed to be their father. One of the children, Lewis, was born approximately the same year as Lewis Henderson. Ten years later, three of the four children, now bearing their father’s surname, appeared in proximity to him in Sampson County. (Surname shifts, especially among the children of unmarried parents, were not uncommon in free families of color.) The sons, Lewis and James, named sons after one another and settled sequentially in Brogden township, Wayne County. Most of their half-siblings also migrated to Brogden, and their descendants maintained close family ties into the early 20th century. When James “junior” died, his death certificate acknowledged his birth in Onslow County and named James Henderson as his father.